How AI Directly Influences The Bike-Sharing Program In Smart Cities? Bike-Sharing system or bicycle-sharing system has been around since 1965 when a group called Provo introduced it in the bicycle-loving Amsterdam. But the idea of bike-sharing created a buzz only after the entry of smart city concept. It began to be recognised as an effective tool to reduce air pollution, traffic congestion, travel costs, and fossil fuel-dependency while improving public health. Besides, making cities look much more vibrant, cool and cosmopolitan. However, launching a bike-sharing system in cities and over time making it an appealing mode of transportation is no easy feat. It requires a significant private and public investment and alterations to the built environment while understanding the needs of citizens. 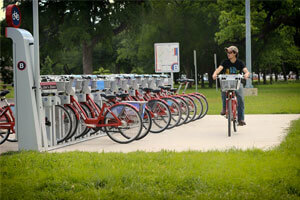 Many bike-sharing programs have been initiated amidst much hype yet their popularity has soon declined. They have ended up being used mainly on weekends and for recreation purpose. There are a number of factors that lead to the failure of a bike-sharing system. But according to reports, the most impactful factors that discourage people from opting for it are dockless systems or systems that do not have adequate docks in a city. Dockless systems increase the risk of theft and vandalism while insufficient docking points make it difficult for riders to park the bike at a given dock and hence reducing the proper redistribution of bikes. If this single issue is resolved, bike-sharing programs can easily meet success and become an irresistible transport option in smart cities. 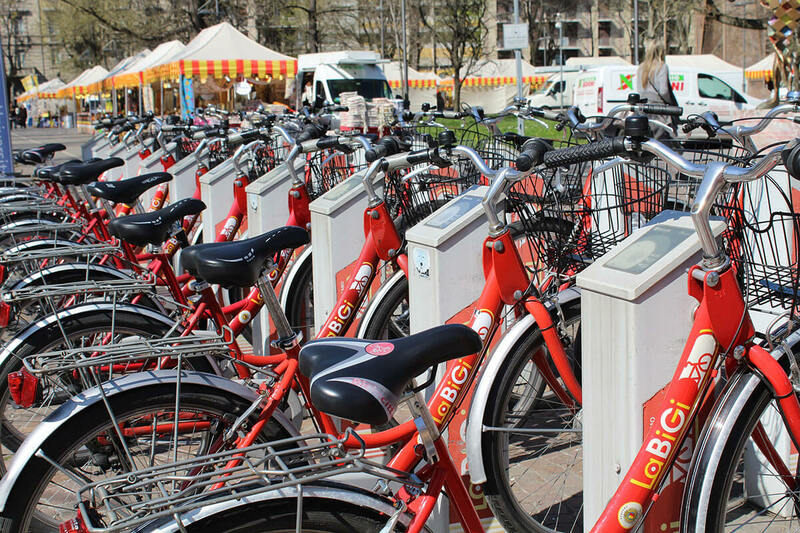 Stage Intelligence, a leading Artificial Intelligence (AI) platform provider for mobility and logistics has introduced an AI-based program called ‘BICO AI Platform’ to meet some of the challenges related to bike-sharing in smart cities. The company is a global player in developing, training and deploying AI technology in order to optimise the management and operations of bike-share programs. It has deployed its expertise in some of the major smart cities around the world including Paris, Helsinki, Chicago, and Guadalajara, Mexico. Until now, AI has been a solution limited to the big market players, requiring a substantial amount of investment for development and deployment. However, the BICO AI platform is aimed at improving the ridership in small-to-medium bike-sharing programs. As per Stage Intelligence, the operators with up to 2000 bikes can benefit from the AI technology with self-organising algorithm capabilities and real-time data. It helps them simplify the management of resources within the bike-sharing scheme, increase ridership and enhance rider experience. Furthermore, deployment of BICO AI platform stimulates decision making. It helps provide information on weather conditions, seasonality, city event and other multiple factors that help operators meet the wavering demands before time. More specifically, it helps bike-sharing program operators to adopt an intelligent approach in redistributing the bike across the city – when and where there are needed. This way, they are moving ahead with an innovative approach against the dispatch-based one, significantly reducing the wasted journeys. Today, the BICO AI platform is proactively managing one of the biggest challenges in bike-sharing – docking stations and the availability of bikes. After deploying its BICO AI platform in a number of smart cities, Stage Intelligence published data showing how AI directly influences the bike-sharing program growth, sustainability, and efficiency. It reveals that City Bikes in Helsinki, Divvy Bikes in Chicago and MIBICI program in Guadalajara, Mexico have been able to deliver positive results for riders, program operators and the cities. The BICO AI platform has greatly reduced the wasted journeys of redistribution trucks and staffing resources while increasing the ridership. According to the report, BICO AI platform has increased ridership of Divvy Bikes, Chicago by 0.75 rides per day; MIBICI, Guadalajara by 1.5 rides per day; and City Bikes, Helsinki by 5 rides per day. The growth in ridership clearly shows that riders are now enjoying the bike-sharing program and are utilising it reliably for their daily use. While on the other side, operators have seen an increase in profitability. In a span of 12 months, the BICO AI platform has been able to stimulate the reduction of the journey by redistribution trucks by 10,000 miles with fewer bikes being moved. 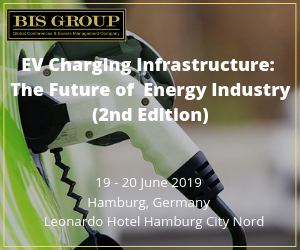 This has lead to the reduction of carbon emissions by 10 metric tonnes, allowing the bike-sharing programs to mitigate the carbon footprint and offer a green transportation option in smart cities. Helsinki in Finland is recognised as one of the top cities globally for cycling. The City Bike Finland and urban transport operator Moventia have collaborated with Stage Intelligence to deploy its BICO AI platform in Helsinki bike-sharing program. City Bike in Helsinki is utilising the AI optimisation platform to drive usability of its more than 2,000 plus fleet of bikes and increase the ridership. According to the City of Helsinki’s Bicycle Account 2017 report, Helsinki is one of the leading places for cycling where riders have around six journeys in a day by bike. More than 96% of the residents are positive towards cycling and are enthusiastically using AI and city data to encourage more and more people to be a part of the bike-sharing program on daily basis. In fact, the city is aiming to increase the number of bicycle journeys from 10% to 15% by 2020. Cycling is one of fastest and most comfortable way to travel in Helsinki. The people of the city love cycling and have built a strong culture over time leading them to easily accomplish the 2020 target. Planners and city officials are working on getting more citizens cycling when the population in Helsinki is estimated to rise by 860,000 people by 2050. Helsinki City Bike is playing a major role in supporting the cycling efforts in the city. Divvy Bikes in Chicago has seen considerable growth in ridership after deploying the BICO AI platform. The city has seen a decrease of 4,000 hours of redistribution time which corresponds to 2.2 drives per year. With fewer trucks being driven on road, new efficiencies in operations and growth in ridership year after year, the AI is enabling Divvy Bikes to provide the best possible experience to riders. Divvy Bikes has more than 580 docking stations across the city of Chicago with more than 5,800 bikes. The residents get a much more affordable way to travel in the city while being an enjoyable alternative to rideshare and trains. The Divvy Bikes has been able to increase the number of bikes in operation in the city after incorporating the AI platform. The operational efficiency driven by AI enabled them to triple their amount of bikes without increasing their internal resources. For every operator including the deployment in MIBICI Guadalajara, Mexico, significant growth has been seen. Stage Intelligence is moving forward to help more smart cities leverage from the BICO AI platform. AI, in particular, can enable smart cities to embrace green transportation at a much rapid rate when it is able to provide the closest insights in real-time as to when a bike is needed, where it will be going and how long it will be there for etc. Such invaluable data can certainly make bike-sharing system one of the most reliable modes of transportation on a day-to-day basis.